American traveling to Cuba? Please have a read of this information. Embark on an incredible 10-night adventure with Black Tomato through the fascinating country of Cuba. You’ll get under the skin of the country by interacting with local movers and shakers and have the unique chance to visit places that few people get to see with our expert guides who will lead you on a once in a lifetime trip around the island. 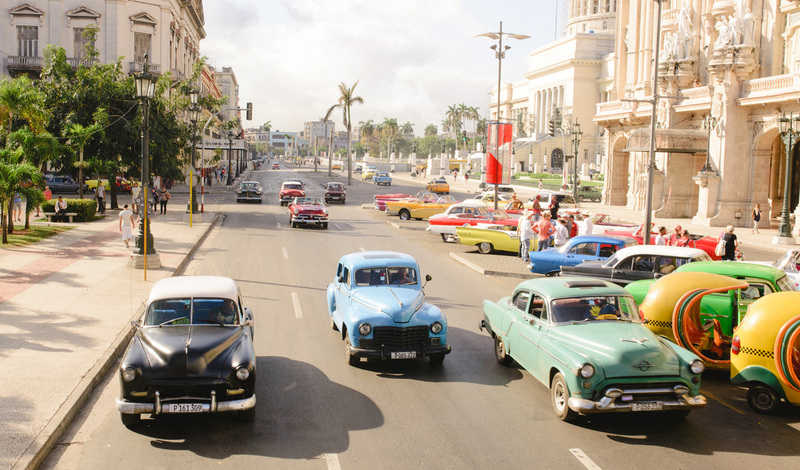 Your journey will begin in Havana where we’ll immerse you in Havana’s local scene from visiting the best local jazz clubs, local artists private collections touring the Hemingway’s haunts in a classic American car. You’ll then be whisked off into the countryside to the tobacco mecca of Vinales, where you’ll explore the rolling hills on horseback and learn about the cigar industry and visit local farms and fincas as you dine with local farmers and fascinating characters. Your last stop will be the colonial gem, Trinidad where you’ll spend the last few nights exploring the local architectural highlights with locals who know the city better than most. One of our favourite cultural hubs, as soon as you arrive in Havana you will be walking in the footsteps of its great previous inhabitants visiting the four plazas of Old Havana, a UNESCO World Heritage site. Our expert guide will offer insightful history along the way. In the afternoon you will be escorted around the Hemingway Museum, house and Cojimar the fishing community in a classic American car. As if it could not get much better you will also see some of the most breathtaking views of the city that people rarely get to experience. Retreat to your boutique hotel Penthouse Ydalgo where you will be staying for the next three nights. The next day you will visit exquisite food markets to buy some delicious traditional treats for lunch and then engage with your cultural side and visit two famous art galleries where you will be able to interact with its thriving artistic community. During your stay in Havana, we’ll arrange a specialized ‘Rumba’ Tour with local dancers and musicians. You’ll be shown to your very own private concert in the home of Cuba’s most respected Rumba bands and even get the chance to try the dance for yourself with a demo from the musicians. As night falls get ready to embrace the new Cuban Gastro Revolution at a hidden supper-club opulent mansion in Leafy Vedado, a great way to discover the secrets of modern Cuban cuisine. The next day for those interested in history we can arrange a guided tour of Cuban Poster Art taking in the Industrial Design School, National Library home to many original rare posters, you’ll also be given a handmade poster guide to take home with you. 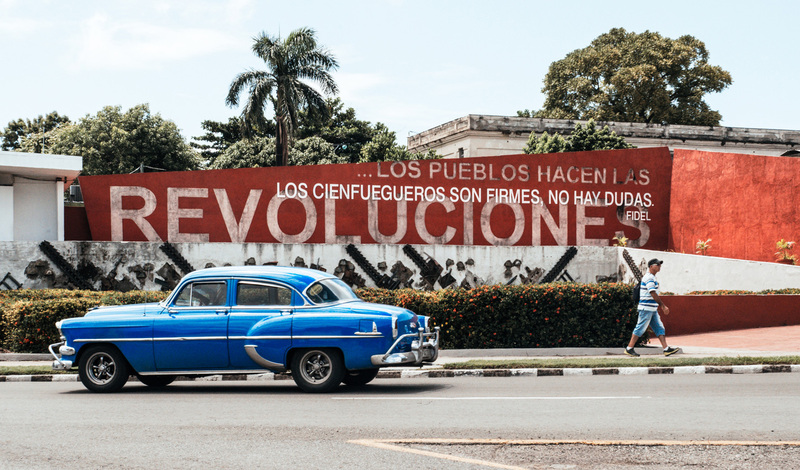 We can also arrange for you to take a guided tour to discover Cuba’s revolution history through some of the capital’s most historical sites and learn all about Cuba’s Independence War heroes. After three nights in the city of Havana, we’ll whisk you off to Vinales, the hub of Cuba’s cigar industry and home to rolling hills and lush plantations. On the scenic two hour drive, you’ll enjoy lunch at a favourite local Finca of ours, Finca Fernando which is a functioning ecological farm and you’ll get to meet the owner who is a leader in the sustainable food movement in Cuba. You’ll be taken to your retreat La Authentica, a charming family-run boutique hotel. For the next few days, you’ll enjoy romantic horse rides around the valley to see the famous Mogotes hills. This tobacco-growing country, with an old-fashioned agrarian economy, remains traditional and unspoiled. Your local guide, a native of the valley, will take you into the heart of the lush countryside, explaining the history of tobacco growing as you walk around the plantations. You’ll visit the tobacco plantations where they still plough with Oxen, see the famous drying houses and have a tobacco farmer show you how to roll a cigar. After a few days in the Vinales Valley, you’ll be driven to Trinidad, known to be the most stunning town in Cuba, known for its pastel-hued terraces flanked by luscious green fertile mountains it creates the perfect setting. You’ll settle into your room at a boutique hideaway before taking an immersive walking tour around Trinidad, you’ll learn all about the UNESCO world heritage city and visit the local architectural highlights. Our expert local guides will impart fascinating facts about the complex history both in the colonial period and in the years after the revolution. The following day you’ll discover Cuba’s natural side at the National Park Topes de Collantes, a place of extraordinary beauty were the Mountains and sea collide. Relax and bathe in one of the waterfalls after hiking around this little piece of paradise. In the afternoon you will gain insight into Cuba’s religious past, learning about the history of colonization and the early introduction of African slaves. After visiting various Catholic and Afro Cuban churches you will have a great understanding of the everyday life of the Cuban people. On route back to the capital drop into this picturesque little town which is rich in history and architecture. You will visit the famous Bay of Pigs and learn about the failed military invasion that made this part of Cuba so iconic. With breathtaking views of the splendid bay where dolphins frolic, you will never want to leave this pleasant colonial gem. Venture into the deep blue sea for some snorkelling with a local diver from the region before lunch and your eyes peeled beautiful fish swimming below. After a quick dip in the sea, you can enjoy some lunch at the private restaurant La Cueva, known for its scrumptious seafood and excellent wine. After a day’s activity it is time to head to Havana for your flight home.